Pricing exceptions allow you to use a specific price for a specific client. To add a pricing exception, open the Prices tab on the desired product. 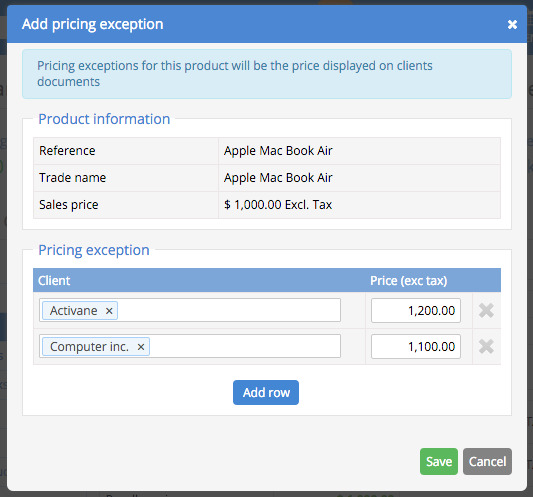 Locate the Pricing exceptions box and click Add pricing exception. Note: If you have many exceptions, you can search for a client via the search field above the list.